Bangdong alimentation LWN acier Bride, plaque en acier allié Bride, A105 à souder cou bride. Nous sommes un important fournisseur de brides forgées industrielles (A-182, ANSI B16.5) et de brides à plaques (A-240, ANSI B16.5). Les brides sont fournies dans une gamme de pressions nominales pour répondre aux spécifications du client. Les brides à collerette, à collerette et à collerette, les brides filetées et les brides aveugles sont les types de brides les plus utilisés. Valeurs de pression: Classe 150, Classe 300, Classe 400, Classe 600, Classe 900, Classe 1500, Classe 2500, PN6, PN10, PN16, PN25, PN40, PN64 etc. Types de brides: brides à collerette (WNRF), brides à emboîtement (SORF), brides aveugles (BLRF), brides à collerette (SOLJ), brides à souder (SWRF), brides à visser (fileté), brides à col de soudage longues ] (WNRF), brides aveugles, espaceurs et brides aveugles, brides de joint à bague (RTJ), brides de réduction, brides à face surélevée, brides à orifice, brides de grand diamètre, brides sur mesure, brides d'étirage, brides forgées, brides à plateaux , Brides plates, etc. BRIDE DE COLLAGE DE SOUDAGE, BRIDE DE GLISSEMENT, BRIDE AVEUGLE, BRIDE AVEUGLE HAUTE MOYEN, BRIDE DE SOUDURE, BRIDE LAPJOINT, BRIDE FILETEE, BRIDE DE JOINT DE TYPE BAGUE. (BRIDES D'ORIFICE) BRIDE DE COUDE DE SOUDAGE, BRIDE DE SLIPON, BRIDE FILETÉE. BRIDE DE SOUDAGE, BRIDE AVEUGLE. BRIDE DE COLLAGE DE SOUDAGE, BRIDE DE FILETAGE, BRIDE AVEUGLE. 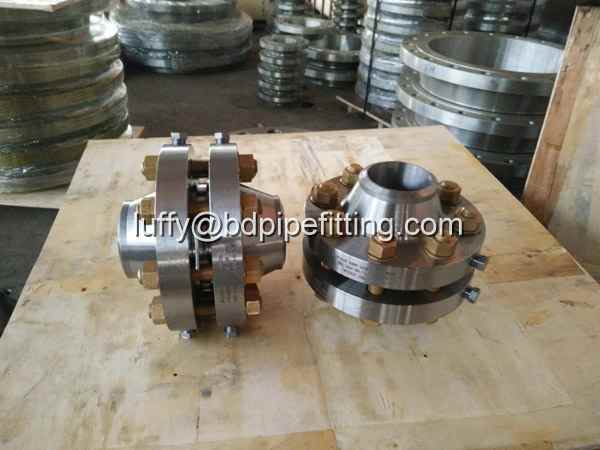 Weld neck flanges are drilled (machined) with the wall thickness of the flange having the same dimensions of the matching pipe. The lighter the pipe is, the larger the bore, conversely, the heavier the pipe, the small the bore. 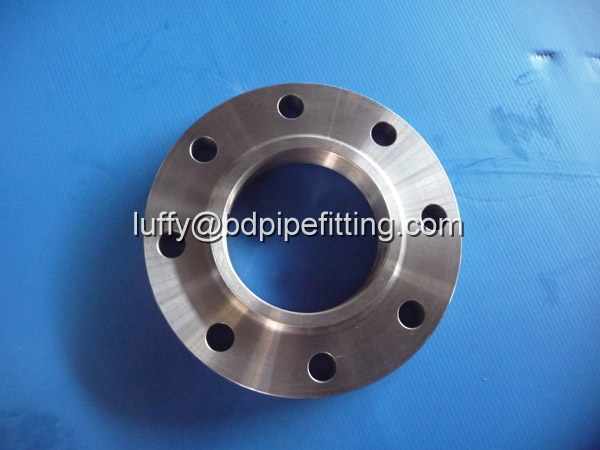 Our range weld neck flanges, welding neck flanges are normally used for high-pressure, cold or hot temperature. We specialize these flanges in different dimensional and material specifications based upon the requirements of the clients. We offer the best quality Slip on Flanges which are durable and come at affordable rates. Customer satisfaction is of prime importance at our company and so the supreme quality raw material is used for manufacturing the Slip on Flanges. 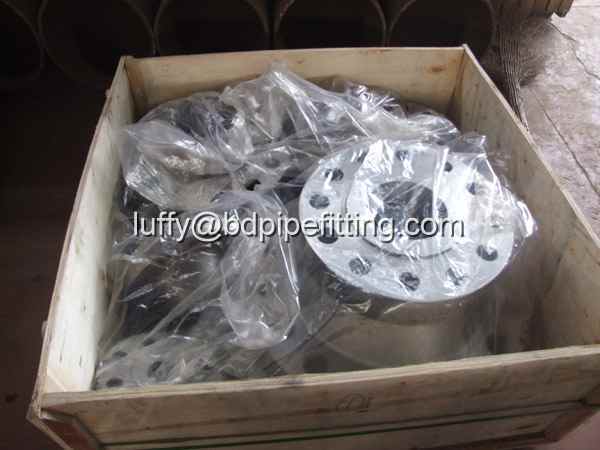 Slip on Flanges is useful in less strict requirements in terms of length of pipe section. Slip on Flanges is available in varied dimension and competitively priced keeping the market standards in view. We provide an extensive range of high quality Blind Flanges. These products don`t have any bore, and they are commonly used to block/close the end of the piping system. Manufactured with the latest advanced technologies and high quality raw materials, these products are highly durable and resistant to corrosion. We offer product customization and they are available at competitive prices. The reduction can be either threaded or welded based upon the requirements of the client. Socket weld flange is a device that is welded to the end of pipe so that the pipe can be bolted to another pipe with a similar flange. 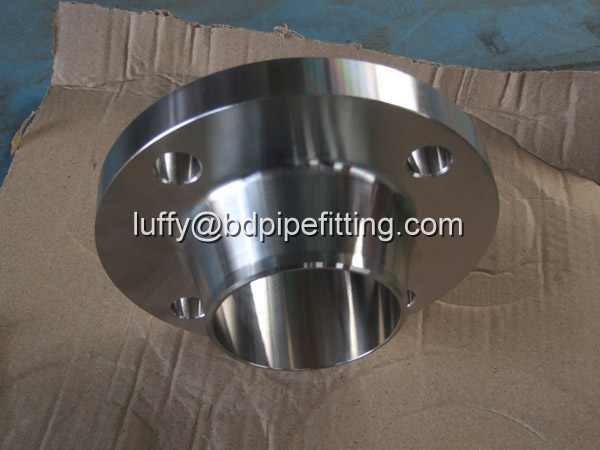 Stainless steel socket weld flanges enable a pipe to be disconnected and reconnected with ease. Available in a spectrum of shape and sizes, our forged light weight steel socket weld flanges are manufactured using superior grade material such as stainless steel socket weld flanges, carbon steel socket weld flanges and known for their durability and performance. LAP JOINT FLANGES are primarily employed with lap joint stubs, the combined initial cost of the two items being approximately one-third higher than that of comparable welding neck flanges. Their pressure-holding ability is little, if any, better than that of slip-on flanges and the fatigue life of the assembly is only one-tenth that of welding neck flanges. 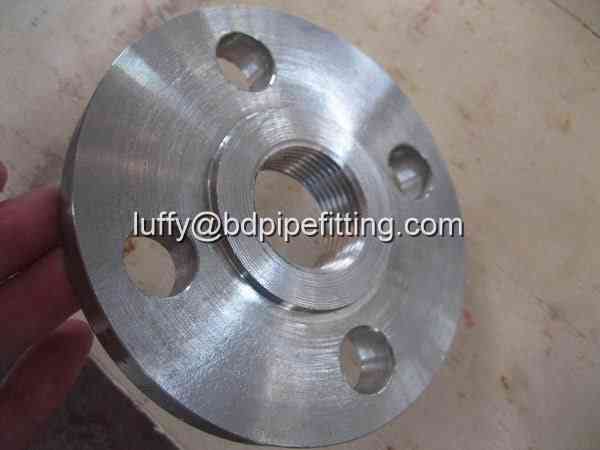 The chief use of lap joint flanges in carbon or low alloy steel piping systems is in services necessitating frequent dismantling for inspection and cleaning and where the ability to swivel flanges and to align bolt holes materially simplifies the erection of large diameter or unusually stiff piping. Their use at points where severe bending stress occurs should be avoided. 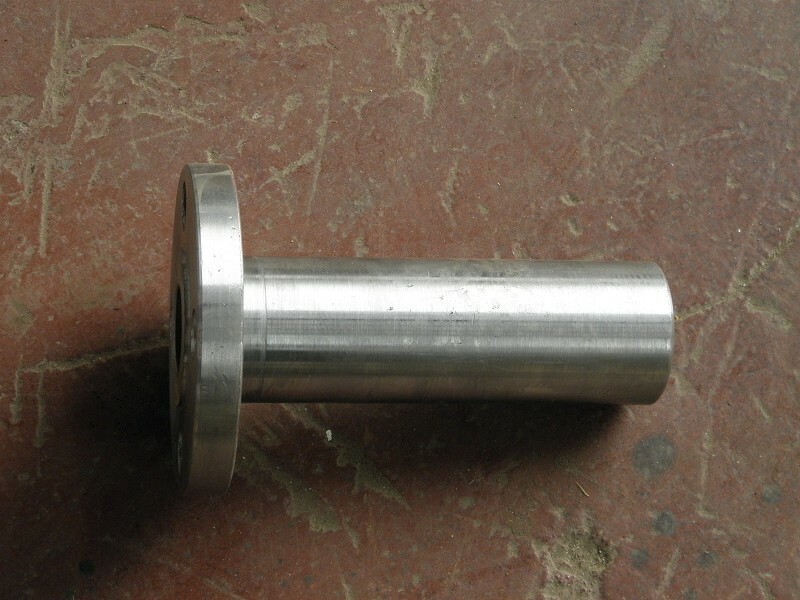 A Threaded Flange is usually confined to a special application. The main benefit of a Threaded Flange is that it can be assembled without welding which makes it perfect for extremely high pressure services. Threaded Flange is unsuited for conditions involving temperature or bending stresses of any magnitude. Particularly under cyclic conditions where leakage through the threads may occur in relatively few cycles of heating or stress. Our range of stainless steel ring joint flanges is highly appreciated for strength, durability, reliability, corrosion resistance and close tolerances. 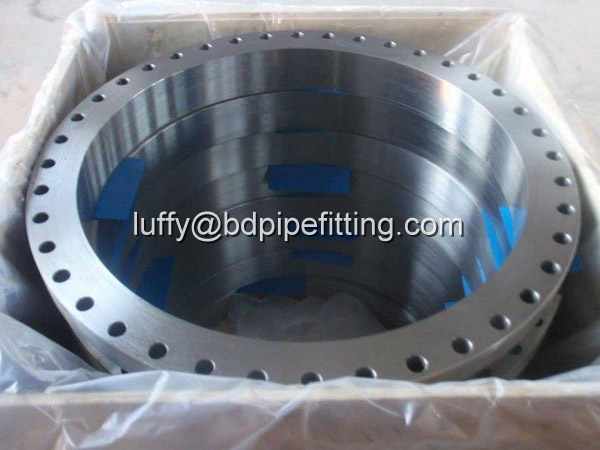 These stainless steel ring joint flanges conform to various Chinan and international quality standards. Used in a number of industries, these stainless steel ring joint flanges are supplied in various dimensional specifications. 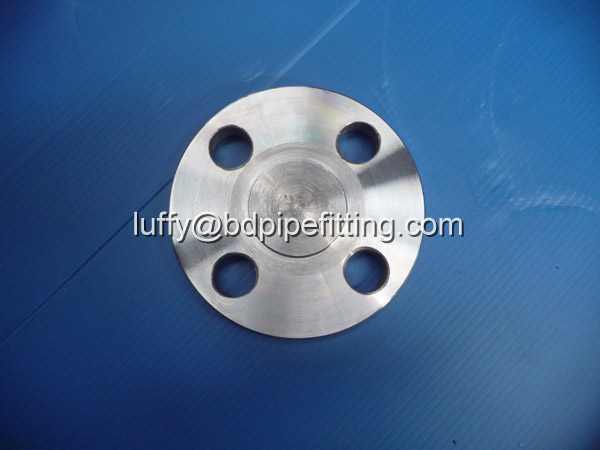 Orifice flanges are used instead of the standard pipe flanges when orifice plate or flow nozzle is used. In other words, orifice flanges are used with orifice meters. The basic purpose for this is to measuring the flow rate of either gases or liquids in the respective pipeline. These flanges are used in various industrial applications and are available in various sizes and materials. All orifice flange units are supplied with the plate, pressure connection holes, and jack screws.